We are a passionate group of people engaged in an exciting mission—impacting the world through transformational education at Upper Columbia Academy. Our product is clear thinking, compassionate, authentic young leaders. Please take a few minutes to get acquainted with us by exploring our website. And if you find your heart resonating with our mission, consider joining us! 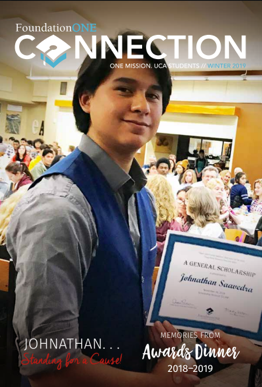 Awarding scholarships to qualified Upper Columbia Academy students year after year by developing partnerships with individuals, families and groups who desire to invest lasting financial support. FoundationONE (formerly UCA Foundation) was incorporated in 2004 as a 501(c)3 charitable organization to raise, prudently manage and steward an Endowment Fund. According to the Bylaws, the sole purpose of the Endowment is to award grants and scholarships to qualified young people, making it possible for them to engage in UCA’s life-transforming education. Since its inception in 2004, FoundationONE has awarded nearly $1 million to UCA students. Interested students may complete the FoundationONE Grant Application. Management of FoundationONE is by a volunteer Board of Directors. The board consists of forward-thinking alumni and friends of UCA. They oversee all aspects of the Foundation, including fundraising, investing, and awarding of grants and scholarships. Since FoundationONE was organized in 2004, it has awarded more than 600 scholarships. 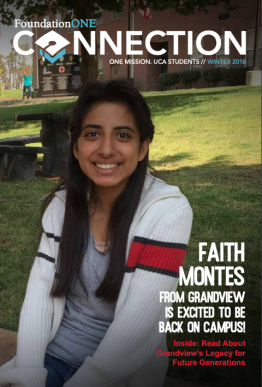 These scholarships have deeply impacted the individual students. FoundationONE has committed $156,000 in Grants and Scholarships for the 2018-2019 school year. Ultimately it is the goal of FoundationONE to be able to support every qualifying student in his/her quest to attend UCA. However, until we reach our financial objectives, we may have to decline some students. Consideration is given on a first come, first served and greatest-need basis. FoundationONE offers grants to students who demonstrate financial need. To verify need parents will be asked to submit the first page of their IRS Form 1040 which shows family size and AGI. We also consider other factors such as number of students in private school, recent job losses, or medical challenges. All applications are reviewed by the FoundationONE Scholarship Committee and families are notified just prior to the beginning of the school year. At this time, FoundationONE grants range between $500 and $2,000 per year. The deadline for grant applications is July 31. For a second semester grant, the deadline is December 31. FoundationONE is blessed to have alumni and friends from around the world who through their vision and generosity enable students to participate in life-changing Adventist education at Upper Columbia Academy. A named scholarship perpetuates a legacy, and each scholarship has a unique story to tell. The most common reason individuals or organizations set up named scholarships is to honor a living person or to perpetuate the memory of a deceased person. The individual or family establishing the fund determines the criteria for awards. Thus, some funds require an application, while others don’t. Some funds are need-based, while others are merit-based. The criteria varies from fund to fund, based on the values and interests of the individual being honored. The FoundationONE endowment is managed by the Wealth Management Team at Washington Trust Bank. The FoundationONE endowment is administered according to the Endowment Fund Investment Policy which calls for a balanced portfolio maximizing returns and minimizing risk. This group of professional investment strategists manage endowments for many of the nation’s most prestigious universities. Currently they have under administration more than $3.3 billion. 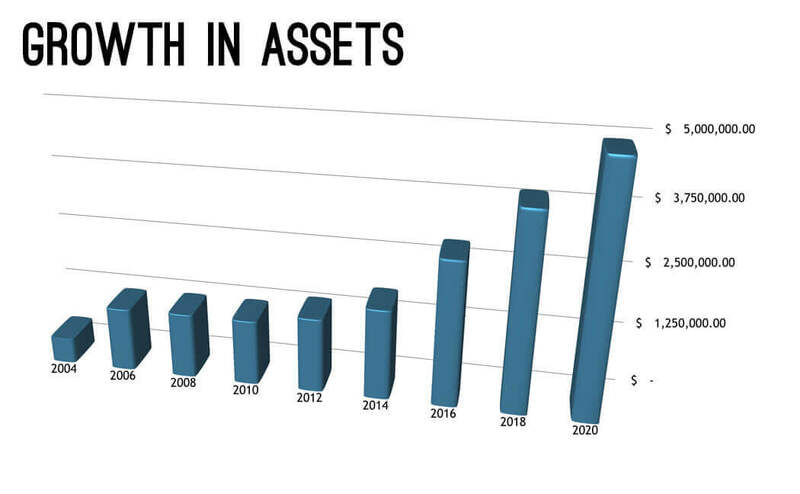 FoundationONE’s short term goal is to achieve $5 million in assets. When this goal is achieved, the Foundation will be able to award $250,000+ in scholarships per year, thereby creating opportunity for many more students to participate in life-transforming Adventist education at UCA. Complimentary meal, stories of current students and great friends! A cash gift, through a personal check or credit card, is the most popular type of charitable gift FoundationONE receives. You can make gifts using a credit card by clicking on GIVE, in the upper right corner. 1) Act before December 31 to transfer the RMD funds directly to FoundationONE. 2) Call 208-288-1260 for assistance, or use our sample letter to give your IRA administrator instructions. Residential, agricultural, commercial or investment real estate can be given to benefit FoundationONE as a current gift. If FoundationONE accepts the real estate transfer, the Foundation will immediately list the asset for sale, and the net sale proceeds will benefit the fund(s) you designate. This is a great way to avoid capital gains taxes on highly appreciated real estate. Transferring a gift of securities—stocks, bonds or mutual funds—that have been held long term allows you to receive a charitable deduction for the full, fair market value of the securities. Giving securities that have appreciated in value also allows you to avoid capital gains tax. You can donate a life insurance policy to FoundationONE or simply name FoundationONE as the beneficiary. For the gift of a paid-up policy, you will receive an income tax deduction equal to the lesser of the cash value of the policy or the total premiums paid. To qualify for the federal charitable contribution deduction on a gift of an existing policy, you must name FoundationONE as owner and beneficiary. To make a significant future gift at a relatively low cost, you may do so through a new life insurance policy, designating FoundationONE as the beneficiary. Many corporations and businesses match their employees’ charitable gifts with a contribution of equal or greater value. A matching gift may be initiated by completing your company’s matching gift form and sending it with your gift to FoundationONE. Check with your human resources or personnel office to determine if your employer has a matching gift program and if your gift qualifies for a corporate match. When considering a planned gift, there are many options to choose from. Whether you would like to put your donation to work today or benefit the Foundation after your lifetime, you can find a charitable plan that will help you provide for your family and support FoundationONE. The optimal gift plan depends on your charitable and personal objectives, your available assets, your income tax bracket, your age, your health, your income needs, etc. To discover the best plan for your particular situation will require a little research. You can do the research yourself by following one of the links in Begin My Giving Journey. Or you can contact Don Klinger at donald.a.klinger@gmail.com or 208-288-1260, and he will do the research for you. Don Klinger is a Certified Specialist in Planned Giving. For 17 years Don has been helping clients understand the benefits of the various planned giving instruments. He is eager to help you to make the best decisions for yourself, your family, and your favorite charity. If you include FoundationONE in your plans, please use our legal name and Federal Tax ID. FoundationONE is pleased to partner with families or groups who wish to create a permanent legacy in honor of a loved one. The family can determine the scholarship criteria, which often reflects the values of the person being honored. The family also determines the number and the value of the scholarships distributed. 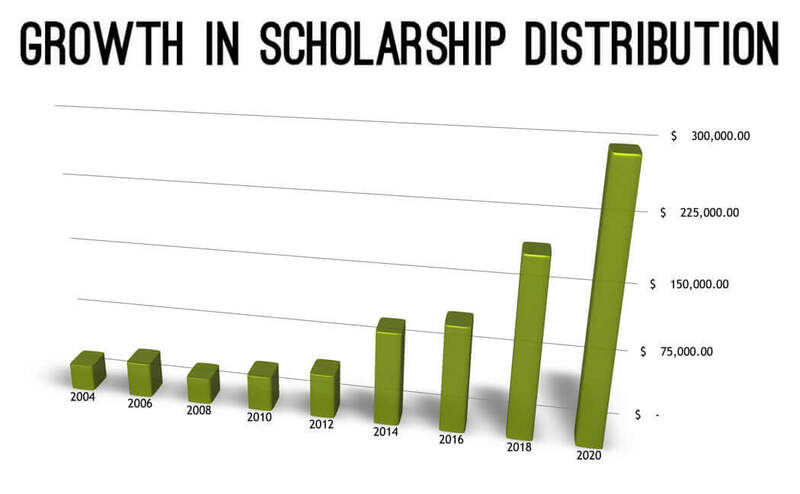 Typically distributions begin after a scholarship has achieved a minimum of $25,000. Of course, the amount of the distribution will be in proportion to the amount of income generated by the fund. • Facilitate the presentation of the awards and involve family members, if desired. If you would like to consider establishing a Named Scholarship Fund, contact Linda, (509) 939-1716 or linda.klinger@foundationoneuca.org. FoundationONE has supporters living all over the United States—Florida, Tennessee, Colorado, and California. While these close friends may not be able to serve on the board, they are intensely interested in the growth of FoundationONE, so, we keep them informed. They receive board meeting notices and minutes. And when they are in the area, they join the board, and even vote! Regional Board Partners try to connect FoundationONE leaders with the UCA alumni and friends living in their community. 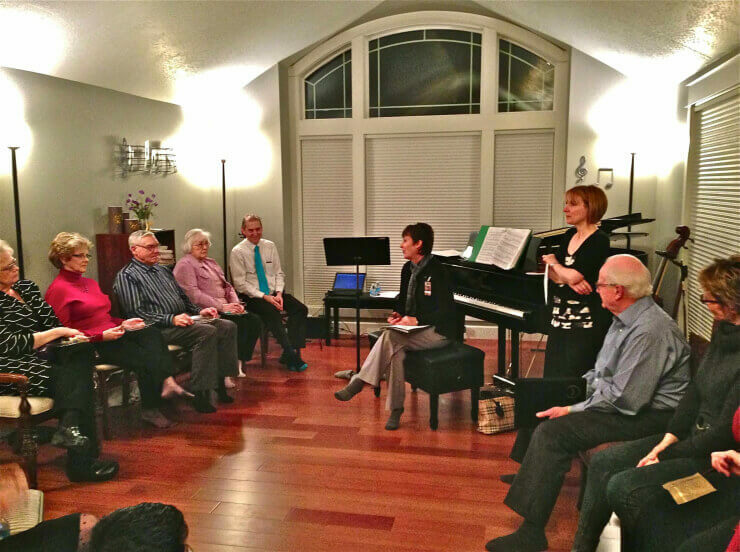 For example, when we have a get-together in their community, they assist with arrangements and help host the event. Our Regional Board Partners are really our field reps—they extend our reach—we couldn’t possibly do it all without them! 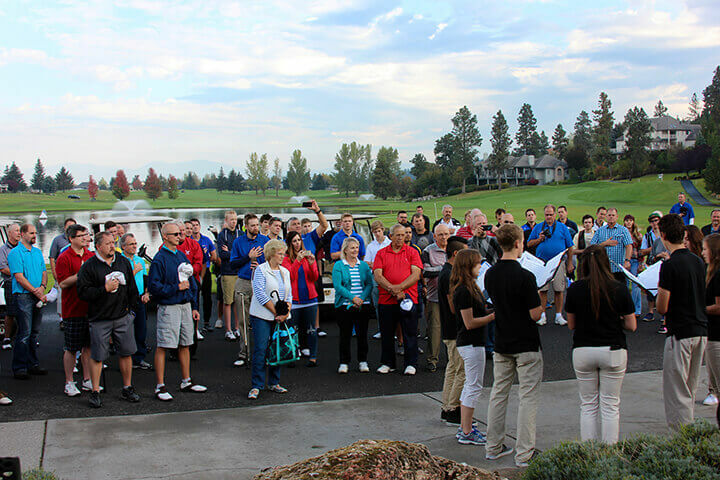 If you would like to become a Regional Board Partner, contact Linda, (509) 939-1716 or linda.klinger@foundationoneuca.org. FoundationONE is endeavoring to broaden its reach through digital marketing, and Eric Weber, ’10, is leading the charge! 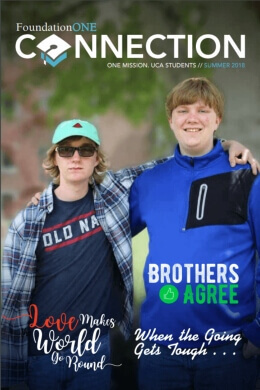 We want to connect with EVERYONE who is passionate about UCA and Adventist boarding schools. If that describes you, please don’t wait to be invited! Like us on Facebook. FoundationONE is blessed to have several professionals who willingly contribute their expertise to help build up FoundationONE. We have a CPA, an attorney, a Certified Planned Giving Specialist, and investment professionals. If you are a highly qualified, experienced professional, please consider sharing your expertise with FoundationONE. Send your curriculum vitae or resume to linda.klinger@foundationoneuca.org. Many alumni and friends designate FoundationONE to receive memorial donations, in lieu of flowers. These donations accomplish two things: they help grow the endowment and they help us make new friends. If you choose to designate FoundationONE to receive memorial donations, we will notify you of every gift received, and of course, we promptly send the donor a tax-deductible receipt and a thank you letter. Thank you for keeping FoundationONE in mind when you lose a loved one. For personalized memorial donation envelopes, contact Linda, (509) 939-1716 or linda.klinger@foundationoneuca.org.